Last year, I switched my Sony Xperia Z2 for a Samsung Galaxy S7. Up until that point, I'd never even considered getting a smartphone that ran TouchWiz. With the update to Android Nougat, Samsung has proven that it's not only capable of delivering great hardware but it can do really good software too. Today, I use a Galaxy S8, and if I compare it to the Xperia XZ Premium, there’s no way I’d go back to using a Sony device. Over the years, Sony has been slowly and steadily cleaning up its software and making it look more like pure Android. Samsung, on the other hand, has been loyal to TouchWiz from the beginning. However, with its new UX Experience, it’s redesigned the whole system. When you unlock the screen on the Xperia UI, the first thing you see is the app drawer. On the Galaxy S8, you clearly don´t see it since, like the Pixel Launcher, Samsung opted to go with gestures to access apps. This is a perfect example of the impression I have of each model: one is stuck in the past, while the other is looking to the future. The Xperia UI reminds me a lot of the Nexus line, which will stop receiving new update support in September of this year, whereas the Galaxy S8 software brings different features from Pixel. Are you guys starting to see where I’m headed with this? The European and some other national Galaxy S8 and S8+ models are packed with an Exynos 8895 processor, which comes with 10nm technology developed by Samsung. However, the US version comes equipped with a Qualcomm Snapdragon 835 CPU, which is also 10nm. It has four cores that clock in at 2.45GHz and the other four at 1.9GHz. Sony also opted for this latter processor in the XZ Premium. So, in other words, the performance of both devices is very similar. So much so that in our speed test, which was based on daily use, both devices finished the actions at the exact same time. The XZ Premium did get a higher grade on the most detailed benchmark though. Using the PC Mark Work 2.0, Sony's device got 6338 points, while Samsung’s earned 5094 points. Obviously, basing everything on benchmarks isn’t the same as actual daily use of a device. However, I should mention that if you put the devices side-by-side and open an app at the same time, the Xperia XZ Premium does respond a few milliseconds more quickly. The graphics on both devices are top of the line, and neither loses any details on images. However, the Galaxy S8 does have Game Launcher, which improves gaming experience with screen and notification locking features, while nicely collecting all your games into one place. But remember, Sony makes PlayStation, and there’s an undeniable integration between the XZ Premium and the gaming console. I especially like being able to continue playing on my phone. Now, there’s one thing that Sony will never leave in the hands of another manufacturer: sound quality. In this respect, the XZ Premium earns the title. The stereo sound for both gaming and videos is everything you could ever want on a smartphone. Things get even better when you use the XZ Premium with wireless accessories, like speakers or headphones. Since Sony supports LDAC technology, there isn’t any data lost on sound quality. Compared to the XZ Premium, the sound quality on the Galaxy S8 is just ok. The device offers UHQ sound quality when using headphones or Bluetooth speakers. But a feature that Galaxy S8 comes out ahead of the Xperia XZ Premium in is Bluetooth 5.0. Don't get me wrong, the XZ Premium has the same version, however, it doesn't allow the user to take full advantage of this standard like Samsung does at the moment. 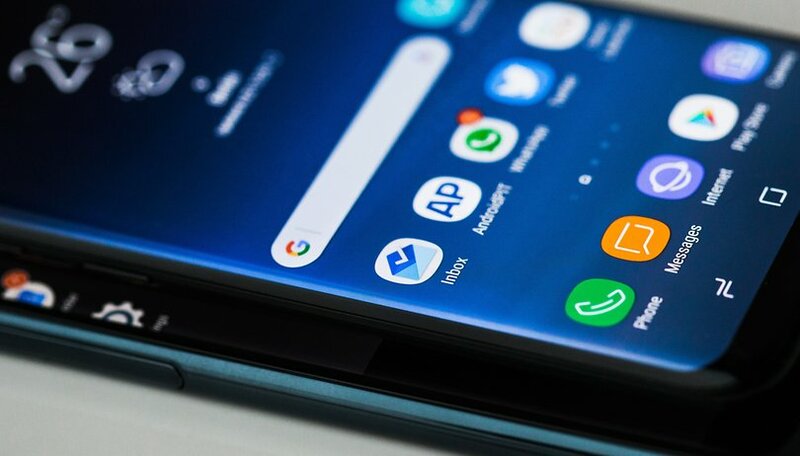 In other words, the dual audio feature, which allows you to simultaneously connect two Bluetooth speakers or even two headphones to a device, is only offered on the Galaxy S8 and Galaxy S8+ at the moment. However, Sony may offer the same function through a software update in the future. As audio always comes hand-in-hand with images, it's a heated battle over screen quality between these two devices. On the one hand, we have the Super AMOLED display, with curved edges, HDR and the new 18:9.5 ratio; on the other hand, a lovely example of an LCD screen, with excellent resolution, HDR and a 16:9 ratio. Both manufacturers have done a fantastic job in this area, and either one of these devices will give you one of the best displays you can find on the market today. However, to reiterate my point, Samsung shows that it’s thinking about the future while Sony is keeping things conservative. This isn’t necessarily bad though. While S8 users are prepared to receive content in a new ratio, as it’s just starting to pick up some momentum, they’ll have to deal with videos with different margins and games with hidden menus due to the image adapting to the screen. No one ever said being an innovator was easy. Even the XZ Premium has to go through content restrictions for your 4K screen. Currently, not many services support screens with such a high resolution, such as YouTube, Netflix and also Amazon Prime. With the quality of the display and audio, using the XZ Premium for games and watching videos on Netflix or YouTube is incredible. It’s exceptionally comfortable to hold since it has such wide edges, however, considering that the Galaxy S8 uses 83.6% of the front display, when you put them side by side, it’s like putting Prince Charming next to Shrek. Yes, I realize that the Galaxy S8 isn’t the most comfortable device to hold to watch an entire episode of Stranger Things since there aren’t any side borders and the ones on the top and bottom are basically non-existent. With a bit of practice though, I discovered how to hold the device in my hands without it getting uncomfortable. The XZ Premium is swimming against the current; it’s massive, square and conservative. To give you a clearer idea, it can stand up on one edge without having to support it. And no, this isn’t an extra feature! Regarding the design, Sony forgot that they’d put the word “Premium” in the name. It could all be justified with battery life, couldn’t it? Unfortunately, no. The difference between the two devices is just 230mAh more for Sony’s smartphone, but remember that the display is 4K. The hardware on Samsung’s device consumes a lot of energy as well. Although Performance mode does offer four different power settings and it offers anywhere from 6 to 12 hours of battery life, while the XZ Premium lasts about 7 (according to the battery benchmark on PC Mark). Both manufacturers offer two energy saving modes and rapid charging. Unfortunately for Sony, only the Galaxy S8 has wireless charging. Finally, let us discuss the camera. Sony invested a lot into the camera specs and features on the XZ Premium, whereas Samsung pretty much copied the good aspects from its last generation and made some small tweaks to the software to improve image capture. In the end, the camera on the Galaxy S8 is one of the best on the market. This was confirmed in our camera blind test, where the Galaxy S8 finished right behind the Google Pixel. The same can’t be said for the XZ Premium though, which found itself nearer the bottom on the list. The camera on the XZ Premium has an optical image stabilizer and a Bionz image processor in addition to an Exmor RS 3-layer stacked sensor with 19MP and large pixels. These components let you use super slow motion, which generates videos at 960 fps, 32x slower than normal. Without a doubt, both models are good. It just so happens that in my opinion, the Galaxy S8 is better. With hardware performance similar to that of the XZ Premium, the Galaxy S8 stands out on most things. It won’t be considered old next year, and it has solid software options like system backup, different biometric and security options, and software that works well with the hardware to give you more battery life. Today, before finishing this comparison, I asked the editors at AndroidPIT which of the devices they’d buy if they’d just seen them for the first time. Of the 15 people in the room whom I asked, only one person chose the XZ Premium. Choose “Galaxy S8” or “Xperia XZ Premium”. This is why "tech expert" is such a laughable term. You spend every day living in your own little bubble, getting sent your free phones, you do your little straw poll to confirm "oh yes, I'm definitely right about this, yes" - you even spend an entire article banging on about how antiquated the Sony is....then you ask ACTUAL phone users, and discover your 'expertise' is pretty much worthless. I will choose Sony Xperia XZ premium because you can hold it securely without fearing of accidental drop. S8 is just good if you are not holding the phone like a mini TV. You need a mobile phone holder like a small tripod. Sony makes high quality and durable phones. Samsung makes glossy displays, nothing more. I chose xzp. For me was the best option because I put first in line audio quality and sony attention to detail. I own this phone for 5 months and I haven't anything to complain, now it runs android 8. I don't understand why it is so overlooked by the tech professionals. Probably sony don't pay them like samy or apple. I hope sony keep the good work. I am using Samsung S8, This is the best phone in my life. I am too much happy. Sony phone camera are just bad. You can’t change it, the bitter truth. My Samsung 7'' tablet from circa 2011 still stuck on android 2.3. Any updates are at my own risk... Never ever Samsung again! Sorry, but the XZ Premium has one of the best cameras I've ever had. Especially in video modus it's amazing sharp and has very fast autofocus and amazing depth of field. I don't know how you tested the camera... Also the battery it's enough for two days without stamina and the 4k display doesn't take effect on battery life. I also made a photo of a car driving at 180 km/h and even the spinning wheels where exactly taken with all details, so that you thought they standing still. To be honest, while i have long been a Note user, I am thinking to buy an XZ Premium. I am not too sold on the new screen ratio and Samsung policy in terms of updates is terrible. And having seen both displays next to each other I must say is the first time a Sony device left me so positively impressed. Ive had the xzpremium for a few weeks now after upgrading from Z5 initially thought it wasn't worth it but now it is and is definitely worth it, don't think there's a better phone at this time! ok its a plain design but who cares. Not a sony fanboy xzpremium is overpriced but so is the s8 ive had a xzpremium for two weeks and i know someone who has a s8 plus and the xzpremium is by far the fastest and people and reviews keep saying the s8 has a better camera i can definitely say it isn't the sony camera beats it in all but extremely low light conditions and gives a lot better colour rendition so to me its a better than the s8 maybe not as good a looker but as with all phones you need a case for protection so it doesn't really matter about the look as its covered.